I thought I would revisit this topic because, as we all know, winter has arrived with a vengeance. I hate this weather. Less than zero is just plain wrong. I am such a temperate climate, California girl at heart. Ok, I will stop torturing everyone with visions of Palm trees and beaches in January. I can actually hear my grandmother blaming me for someone else moving to Los Angeles. Haha! 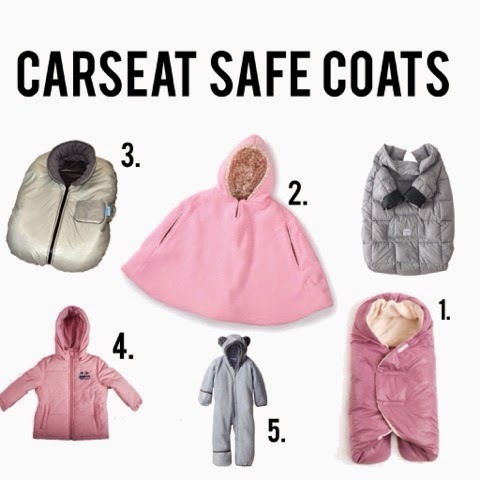 As I am currently freezing my patootie off in Maryland, I thought I would share some carseat safe coats and covers. We all know what an insane gear and carseat nerd I am! 1. 7 Am Enfant and the Car Seat Lady have come up with a blanket wrap for the itty bitties and a coat/cover for the biggers. These look great. The only downfall of the coat in my book is that they can't wear it outside. I would hate to wear one coat outside and then switch! Check out the Nido and the Easy Cover. 2. Summer Infant makes something called a Sherpa Puffer that I remembered from the ABC Kids Expo this summer. (You may remember me drooling from afar.) Anywhoo, this is very cool. It can also be worn outside...yep. Outside and then it can be undone in the back to make space for the straps! I just got one to review, and I have to tell you, it is pretty cool. All the details will be coming soon, stay tuned! 3. Tivoli Couture. You folks with older kids just turn around. This is for the itty bitties. I had this for belle and its great. It essentially goes around the top of the infant seat and keeps them warm all the way around. Lots of companies make them at different price points. JJ Cole (please not the old style one it's just for strollers), 7am Enfant, and you can even find non brand name ones at Target and Baby's R Us. 4. The Cozywoggle. Crazy name for a pretty cool coat. Car seat safe and you can get it on Amazon. With three kidlets and flu season, if Amazon ain't deliverin, I ain't buyin! 5. 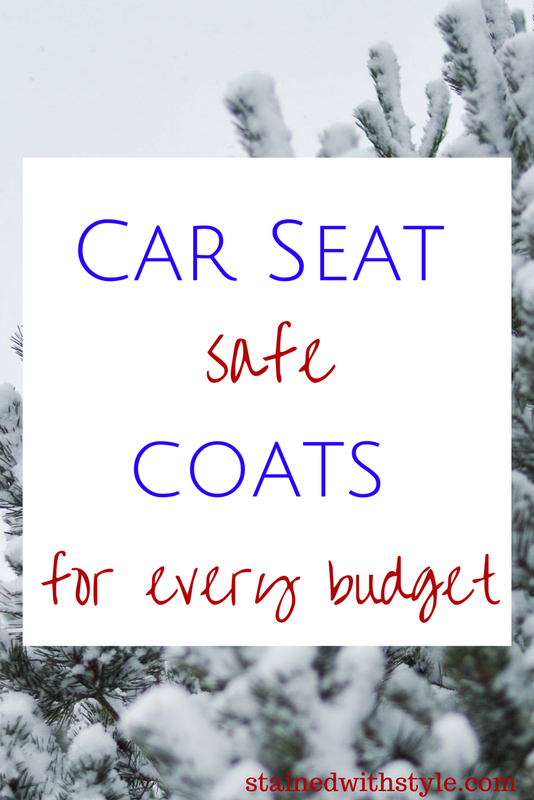 North Face, Columbia, LL Bean and any of the cold weather gear companies make fleece long all outfits that are thin enough to be car seat safe but are still warm. No puffers folks. 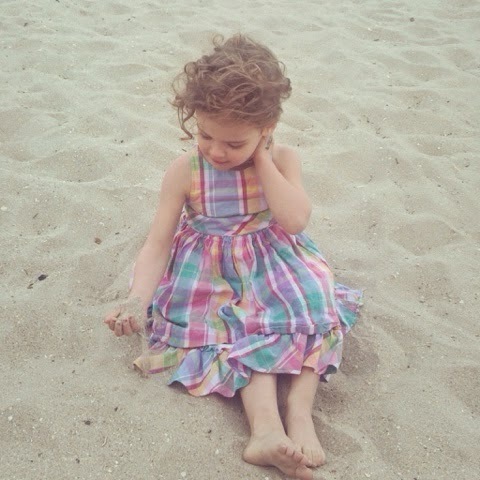 Unfortunately, they don't often make them beyond 2t, so for those of us with older kids, we have to look harder. I won't overdo that it is important to put your child in the correct carseat gear. Look, we all know car safety is important. That's why we spend SO much money on those seats in the first place. Let's just not negate all of the benefits of that amazing seat by putting them in something that isn't safe, MmmKay? Here is some information from the Car Seat Lady if you want to read it. Good luck and stay safe out there.